Hi, I’m Caroline, mom of Emma (6) Graham (3) and Brody (1). My version of “I was a perfect mom until I had my kids” goes “I knew my kids would sleep until I had them”. We all need to sleep so of course, we all do. I was prepared for the short time of disrupted sleep after the birth of my daughter and didn’t think it was gonna be a big deal. After all, soon everything would be back to normal and everybody would be sleeping soundly. My inexperience and nonchalance towards the sleep topic cost me dearly during the ensuing 2 ½ years following Emma’s arrival. While I had too many preconceived notions, I had too little actual knowledge, no support system, and many disruptions. By the time baby #1 turned two, she had 2 moves, 2 transatlantic trips, one deployment of her dad and the death of her grandfather under her belt. All of this resulted in a lot of lost sleep, both for her and for me. We bed shared, she had some solid sleep associations and no schedule. I will spare you too many details, but I was very much in the dark valley of sleep deprivation. Thankfully I got lucky and more by chance started to read the right books after following the wrong tips I got off the internet in the wee hours. Slowly but surely I reclaimed the night and got her on a schedule. Before her brother was born, I preemptively got in touch with a sleep consultant to avoid a repeat. If this episode had taught me anything, it was that a lot of the things that went wrong with Emma’s sleeping had nothing to do with her and lot to do with me and what else was going on. As they say, know thyself. 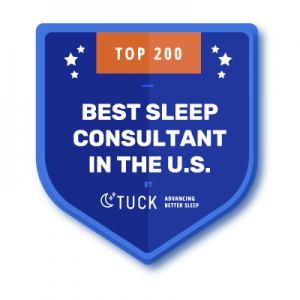 Working with our sleep consultant not only helped us to have a better 2.0 experience- I also realized that I wanted to help other parents because I KNEW how hard it can be. Being a good parent and functioning human being on inadequate sleep was impossible for me, and from what I was and still am witnessing around me, it’s pretty hard for a lot of people. 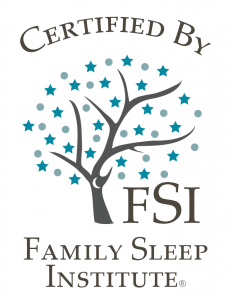 Child Sleep consulting is a young field, and it was important to me to have a solid foundation so I can feel good about offering my services. So I applied to the Family Sleep Institute, the nation’s leading child sleep consulting school, and did a happy dance when I got accepted. I didn’t just want to rely on my own research but learn from what I believe are some of the best and most experienced instructors in the industry. 250 training hours later I founded Up No More to make a difference in people’s lives. We all need a helping hand sometimes and there’s no shame in that. I know that life gets messy. I know we feel conflicting feelings. But I also know that there is light at the end of the tunnel and sometimes you just have to work for it a little! Now that you know my story, I’d love to hear about yours! Mr. Right is a US Army officer, which makes us a Military family. We move a lot- 7 times since 2008. I love dark chocolate and green tea. I’m in the minivan stage of life but my soul is still driving a sports car.